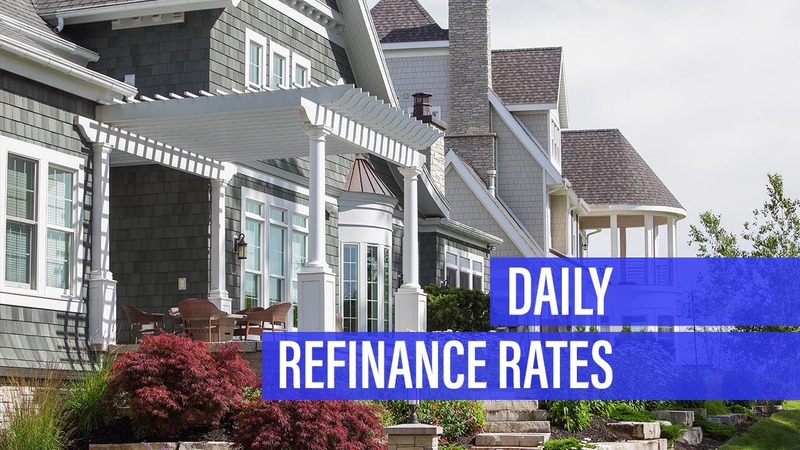 Refinance rates were mixed, but one key rate decreased. The national average for a 30-year fixed-rate refinance declined, but the average rate on a 15-year fixed rose. Meanwhile, the average rate on 10-year fixed refis increased. The average 30-year fixed-refinance rate is 4.05 percent, down 3 basis points compared with a week ago. A month ago, the average rate on a 30-year fixed refinance was higher, at 4.31 percent. At the current average rate, you’ll pay $480.30 per month in principal and interest for every $100,000 you borrow. That’s lower by $1.74 than it would have been last week. You can use Bankrate’s mortgage calculator to figure out your monthly payments and see what the effects of making extra payments would be. It will also help you calculate how much interest you’ll pay over the life of the loan. The 15-year fixed refi average rate is now 3.49 percent, up 7 basis points since the same time last week. Monthly payments on a 15-year fixed refinance at that rate will cost around $714 per $100,000 borrowed. The bigger payment may be a little harder to find room for in your monthly budget than a 30-year mortgage payment would, but it comes with some big advantages: You’ll save thousands of dollars over the life of the loan in total interest paid and build equity much more quickly. The average rate for a 10-year fixed-refinance loan is 3.49 percent, up 6 basis points since the same time last week. Monthly payments on a 10-year fixed-rate refi at 3.49 percent would cost $985.58 per month for every $100,000 you borrow. That’s a lot more than the monthly payment on even a 15-year refinance, but in return you’ll pay even less in interest than you would with a 15-year term.